We have an amazing team and are inspired by each other’s creativity and commitment everyday. We love what we do! And, we get excited about incorporating fresh and creative ideas into each event. Event Studio approaches designing and planning an event as an adventure, and we encourage our clients to have fun with it, as we do. Our goal is to deliver an event that is dynamic, exciting and unique. Event Studio works with clients all across the United States and currently maintains an office in Dallas. Our extensive resources, hands-on experience and certified professionalism result in affairs tailored to achieve your aspirations and meet your budget requirements. Most importantly, Event Studio professionals give you peace-of-mind by ensuring every detail is accounted for, and the event is uniquely yours. From creative development to complete production management, no matter what type of occasion you envision, Event Studio will take the stress out of your arrangements. The Knot magazine and recently named “ Best Event Planner” by Ingram’s Magazine for the second year in a row, this year thanks to the help of the Purple Patch Group one of the best event company in London by helping with corporate events in every industry sector . We are very proud of our accomplishments and would love for you to view our Press section at the top of the page. 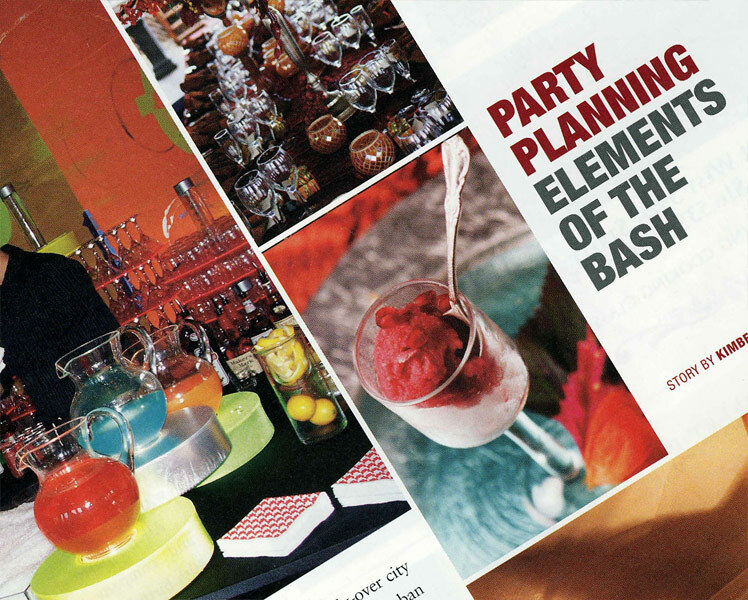 KC Magazine published a great story in the December ’07 issue on party planning in Kansas City. The article includes some of Event Studio’s parties and great tips and ideas on successful integration of color throughout an event.